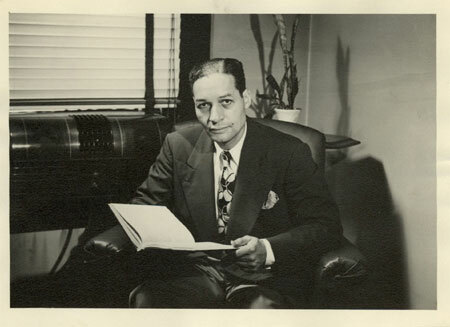 With a grant awarded by the National Archives and Records Administration a few years ago, we were able to process our Theodore M. Berry Papers, a collection of nearly 200 boxes that documented the life and career of Ted Berry, UC alum, first African-American mayor of Cincinnati, and a national figure in the Civil Rights Movement. Communities around the nation are celebrating Black History Month in February, and on Tuesday The Ledger-Independent in Maysville, Kentucky ran a very nice article about Berry, based in large part on the website that was created for the grant project. Written for the newspaper by Marla Toncray, the article was picked up by Dawn Fuller in UC’s Public Information office. 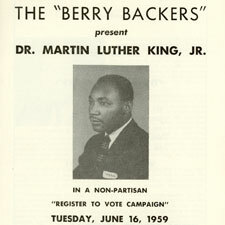 We invite you to have a look at the article at http://maysville-online.com/news/local/theodore-m-berry-rise-from-poverty-to-politics/article_867ef0e1-2ebe-5c1c-91c1-ed3a399a37f4.html. To learn more about ARB’s holdings, please go to http://www.libraries.uc.edu/libraries/arb/index.html, call us at 513.556.1959, or email us at archives@ucmail.uc.edu.